On the way back from Melbourne I spent a couple of days exploring the Coorong around Salt Creek to scope for the second part of the Edgelands project. Edgelands are often seen as dead zones or tracts of land with confused and unassigned values on the urban fringe. Our cities, for instance, have many inactive patches of land that fall out of favor with humans for many reasons. These humdrum urban corridors or borderlands are usually seen as distinctively non-photogenic commonplace spaces. However, there are spaces that are outside the urban fringe between the carefully defined spaces of farmland and national parks that are also edgelands which have a minimal human engagement. In South Australia these can be found around the Coorong. Most people visiting the Coorong either camp in the Pink Gum wood land near Salt Creek in the national park, or they cross the waters of the Coorong at 42 mile or Tea Tree Crossing off the loop road to the sand dunes for their wilderness camping or to go fishing along the shore of the ocean beach. Parts of the Ngrugie Ngoppup Walk near Salt Creek, for instance, goes through a space that is not obviously occupied and not clearly marked by traditional boundaries of farm and national park. How then, to photograph this landscape? I wanted to avoid the dramatic morning and evening light favoured by an environmental Romanticism that places the emphasis on both natural beauty and this remote landscape being a pristine natural world that is a refuge from the ravages of an industrial capitalism fuelled by coal, oil and gas. This has resulted in a substantial level of landscape change —in both its nature and magnitude. 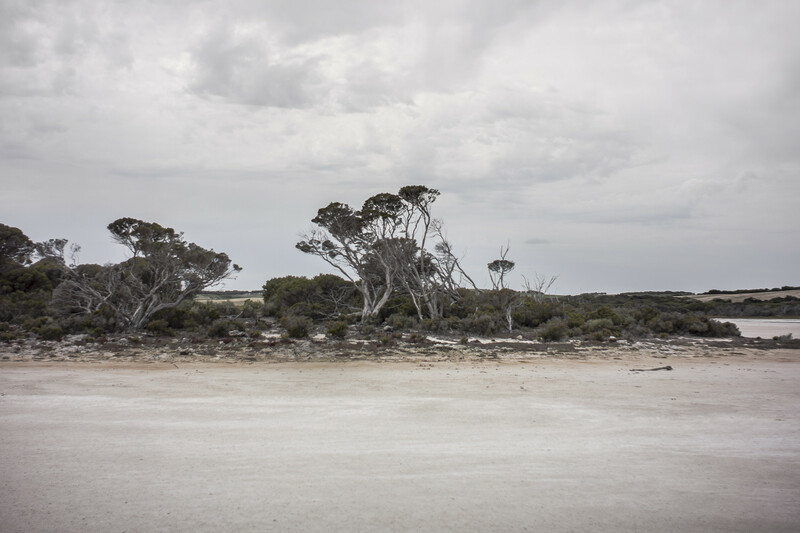 The Coorong is a melancholy landscape. It is a necessary to walk these spaces to discover them, as they are not obvious from the road or through a car windscreen the highway. Ari and I walked part of this space in the middle of the day, so that I could take some snaps with a digital camera to study on the studio’s computer screen when I returned to Encounter Bay. This is a landscape that evokes feelings of uncanny alienation and a mood of dark depression. much of the way artists from Australia and New Zealand interpret landscape photography owes its influence to the traditions of American, and to a lesser extent European, practice. Artists such as Robert Adams and Stephen Shore have informed the way photographers working with landscape have developed a visual language that exclusively their own and responds to their surroundings and to a sense of belonging and connection to place. The idea of acquiring a visual language for landscape photography is a good one and well worth exploring as we need to ask questions about how we see – and interpret – the land through photography. What are the ways available to us to interpret and visually represent the landscape? However, the body of work produced by Robert Adams and Stephen Shore, which influenced Australian and New Zealand photographers and encouraged them to adopt a a pictorialist approach, was 40 years ago. 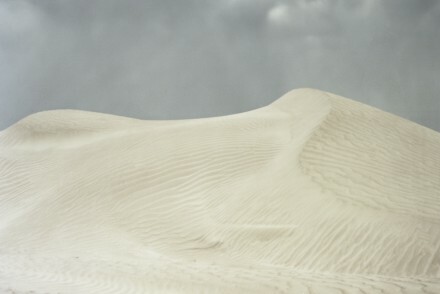 The New Topographics: Photographs of a Man-Altered Landscape exhibition at the International Museum of Photography at George Eastman House in Rochester, New York was in October 1975. Surely, there have been traditions created since the 1970s by photographers in both New Zealand and Australia that have emerged from these photographers engagement with their own landscape or environment? Would not contemporary landscape photographers in both New Zealand and Australia now look to the body of work produced by their own photographers/visual artists, rather than to the work of the forementioned American photographers? My experience whilst scoping in the Coorong at midday is an example. 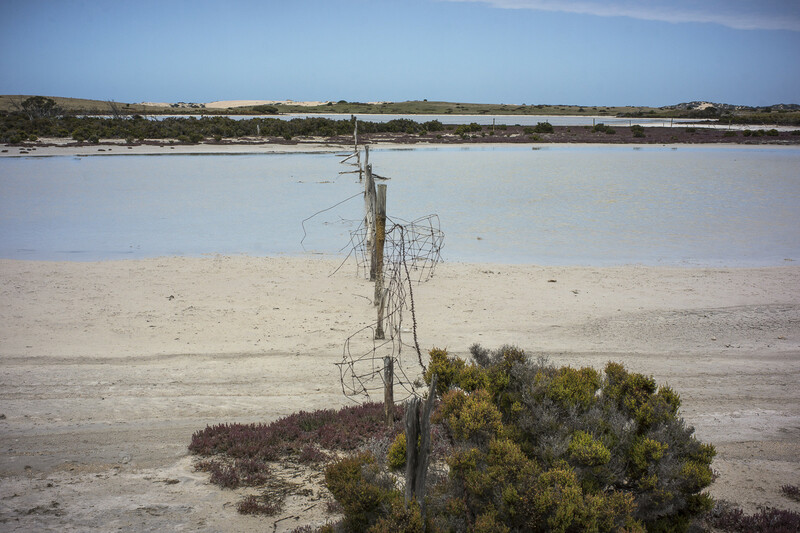 Whilst walking in the Coorong I kept on thinking about the work of Fred Williams, rather than Stephen Shore or Robert Adams, especially William’s topographical representations of the Murray River landscapes. I considered that this visual language was the one that was appropriate to the Coorong landscape. Such a language has little to do with the nationalist landscape tradition in Australia in which Australian colonials sought their defining moral qualities in a mythic bush setting. Nor does this visual language of edgelands in the Coorong express a comforting image of a humanised nature, a bunkering down with lizards, or nature as Gai (or Mother Earth) . It is closer to the dryland images of Russell Drysdale and Sidney Nolan in the 1940s, since it shows the effects of environmental mismanagement of the River Murray by irrigated agriculture in NSW and Victoria. It is environmental mismanagement in that too much water has been taken out of the rivers in the Murray-Darling Basin. The ecological health of the Coorong suffers as a consequence. The starkness and dryness is quite confronting when I was walking around the Coorong in late summer. Things appear to be getting worse not better, and you get a premonition of a strange and weird combination of ongoing ecological collapse. Hence the appropriate visual language needs to sparse and bleak –eg., that of a dark ecology?– to picture this ecological degradation, and to express our quite dark thoughts about ecological devastation. “Dark ecology,” is a term coined by Timothy Morton, and it challenges Romantic views of nature as separate from human action; inviting us instead to “make visible what is hiding underneath.” Dark Ecology explores the extremely degraded environment with its standard, technocratic management of degraded terrain. When you’re on the ground in the Coorong this ecological devastation is hard to actually perceive. You do sense it to varying degrees, but it’s difficult to conceptualise what is going on, and to visually represent it. A reason for adopting and working with this kind of visual language is that sustainability” in 2015 has become just another opportunity for selling things or agri-business PR; or a justification for embracing technological solutions since protecting large functioning ecosystems like the Coorong from human development is mostly futile; or spin to veil the view that as we destroy habitats, we create new ones since nature adapts. This corporate view holds that have to step up and accept our responsibility to manage the planet rationally through the use of new technology guided by enlightened science and putting a price on things like trees, lakes, mist, crocodiles, rainforests, and watersheds, all of which can deliver “ecosystem services,” which can be bought and sold, measured and totted up.techno-optimism that has been promising us cornucopia for over a century. It’s an new version of the old-fashioned Big Science, Big Tech, and Big Money techno-optimism narrative that has been promising us cornucopia for over a century. Another reason for is that we now live in an an era in which humans are leaving their traces in geological systems In the humanities, the Anthropocene means the inauguration of a new era in which human activities have such an impact that they have been inscribed in the geographic record. Maybe global warming is changing the way light behaves? 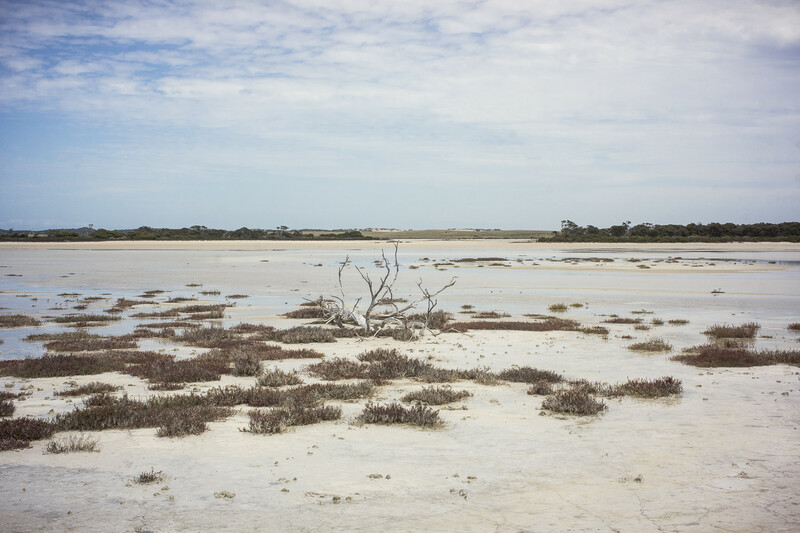 Though there is now environmental water–water for the rivers—as a result off the Murray-Darling Basin Plan, the environmental decline in the Coorong that has occurred over decades is going to take at least ten years to show lasting change and improvements to the ecological health of the rivers, floodplains and wetlands. No doubt that will be counteracted by the effects of global warming.